Fourth part to a sensory series. Read Part 1: How We Smell, Part 2: How We Taste, and Part 3: How We Touch. 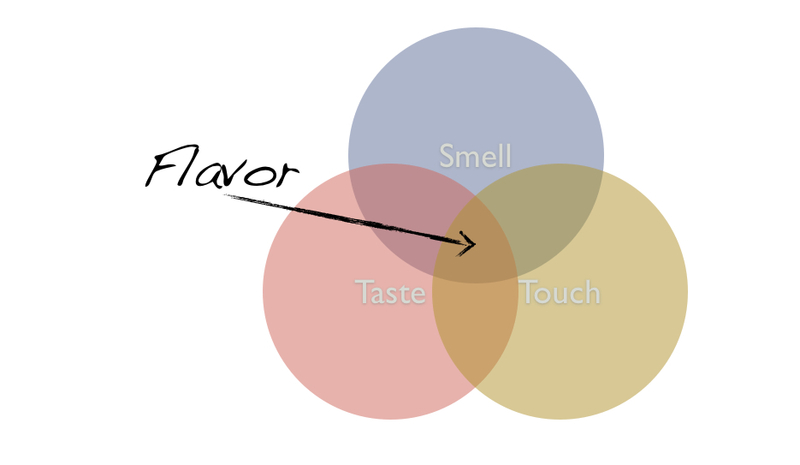 The past 3 posts of this sensory series have been about how we smell, taste, and touch. Each of these factors in to what we commonly refer to as the flavor of wine. A lot of this has to do with proximity. Each of these items are being processed next to each other in the brain (especially, smell and taste). In fact, they happen so close to each other that sometimes we even get confused that things we are smelling are actually what we are tasting. Something cannot smell sweet. It can only taste sweet. When the confusion between senses happens consistently, it is known as the condition Synesthisia. Jimi Hendrix could see color when he heard music (Listen to his song Bold As Love to hear about it). He was a Synesthete. I don’t believe there is any research on how LSD effects this condition. Regardless of which wine evaluation methodology you are utilizing: The Court, International Sommelier Guild, or rating system like Robert Parker, Wine Spectator, etc. the majority of what is being evaluated can be encapsulated into flavor. How We See (The Color of Wine) is next up in the series which is the other (minor) part of wine evaluation. Yet, there is so much about flavor as we have seen where we have room to personally conclude whether we have preference for something or not. The subjectiveness of flavor, whether consciously or not, is always somehow factored in to an evaluation of wine. Therefore, there is an extra layer of complication for the casual wine drinker in finding a wine that they like. They can’t simply just go to the experts to see what was rated the highest, they have to factor in whether those experts like the same wines they do or not. This is particularly telling in the US rating systems which were created by people who generally don’t like sweeter wines even though most of the American public secretly does. This is also mostly why I never rate wines on my blog and try not to use subjective descriptors. I don’t know you. Therefore, I could not accurately judge whether a wine is likable to all of you or not, nor could I trust myself to not subconsciously press my preferences on you. I do however try and list the objective qualities of the wines I am pairing and then let you conclude whether that’s something you’re interested in trying or not. The other part to this is that because our perception of flavor is so tightly entwined with our emotion and memories (Remember, you are comparing the aroma “image” to your memory stockpile of images to figure out what it is) that something as simple as you having a bad day when you have the wine, could affect your ongoing perception of it. Tannat is my go-to brooding wine for instance. Another example is how I have not drank a glass of wine from Bandol since I had it while breaking up with a girlfriend one time. Is it any wonder that we have both a taste and feeling called ‘Bitter’? I’m not saying that if we have a bad experience with a wine that we will continue to have a bad experience with it though. I will drink a Bandol again, and one day you may actually enjoy that wine you thought you’d never like as long as the circumstances are right. This is due to what is known as the plasticity of the brain. We change. What those circumstances are though is what wine and food pairing is all about at a fundamental level. Previously in the series I mentioned how mental framing and priming can be used to brainwash you and shape how you experience a wine and food pairing. OK, maybe brainwash is too strong of a word, but part of what I do during Wine and Food Experience events is to shape how people approach the tasting. The idea behind matching the aromas of a wine to the aromas in a dish are a way to prime the mind to enhance that particular item. 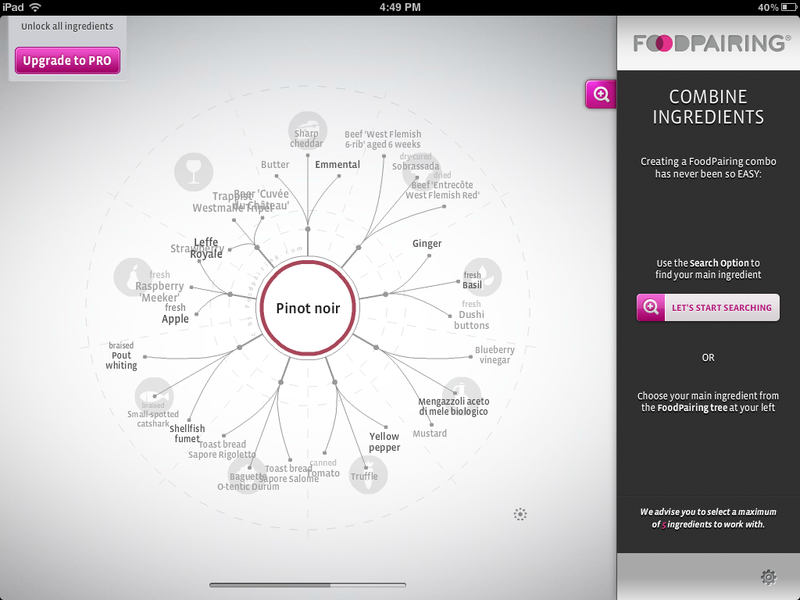 The new wave of molecular wine and food matching is built entirely upon this concept. Found within this is the secret to wine and food pairing. To create a good wine and food pairing, you don’t need to memorize the ingredients of thousands of dishes and understand the differences between wines of hundreds of different regions. All you need to do is meet the [reasonable] expectation of the person who will be consuming the pairing. The good news is that this is much easier than people think. Most people have a pretty vague expectation: They want to enjoy the wine they are drinking and enjoy the food they are having. They aren’t expecting to have their minds blown or taste something they have never tasted before. The want agreeable flavor. I know this sounds unapproachable by average home chefs and their non-existant wine cellars, but trust me. If you can cook (Or buy, I won’t tell anyone) something you like to eat, and you know of a wine you like to drink, you can make it happen. Here’s how you do it when you know what you want to cook. First, tell yourself that this meal is going to be pretty good. Imagine yourself eating a pretty good meal if you want. Then, figure out the main components of the dish. This can be as simple as looking at the recipe you are using or just perhaps recognizing what items your hands are putting in to your cooking apparatus. The easy part about this is that you don’t have to be specific. Fruit for instance, can be categorized as to whether it is red, dark, tropical, or stone (apples, pears, etc.). Then you go to the wine shop and ask for a wine in your price range that has one of those main components in it. This is called flavor matching. 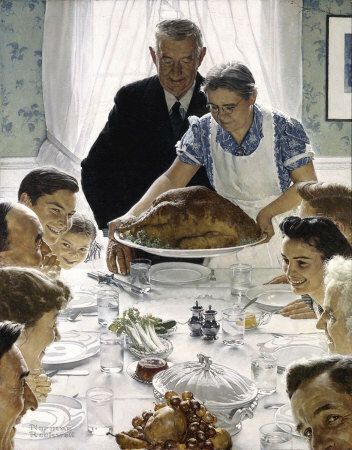 Lastly, you sit down with someone and enjoy the meal you made with the wine you bought and you actively notice the component of the wine that matches with the food. Huzzah! You are a pseudo-professional at this now. What if the wine tastes thin? Garnish the food with some lemon or another acid. What if the astringency of the tannins are too much for your liking in the wine? Back to the lemon/acid, or add some large grained salt. Problems solved! Here’s how you do it when you know what wine you want to have. First, tell yourself that this meal is going to be pretty good. Then look at the back label for some wine descriptors or Google the wine to find some. Next, search for some recipes that have one of those components from the wine in it. Now make your meal and sit and enjoy it with someone. Huzzah again! You are a gastronomical hero. Follow the troubleshooting tips in the previous paragraph if you run in to any of them. The whole concept of flavor matching and very importantly, noticing it, is a big part to enjoying wine with food. All you are is adding two similar aromas together and by their nature, they enhance each other. Aroma after all is the main component of flavor. The tastes mostly follow this additive quality as well. Bitter + bitter = more bitter. However, tastes can also be used as fill-ins when you think something is missing from a dish. Keep in mind that good flavor is all about balancing all of them. Ayurvedic cooking even makes a point of incorporating all of the tastes into ever dish. Interestingly, they came up with and still maintain 6 different tastes: Sweet, sour, salty, pungent, bitter, and astringent. You’ll note two of those overlap with items discussed in How We Touch. Modern research is studying how the lack of flavor balance in meals may be contributing to the obesity epidemic. If the dish would taste perfect with just a touch of sweetness, but you didn’t add any in, have a wine that is a little sweet. Of course, a lot of times you don’t know this until you’re in the middle of consumption so you’d probably just get a dash of sugar, honey, maple syrup, or that HFCS you have in your cabinet. The point is, you have to go in expecting that you might change one minor thing, but with the goal of balancing. Speaking of which, as far as touch goes, as long as you stick with the salt and the lemon, you’ll be fine there too. Then what are professionals for? You might now assume that since you can deliver wonderful wine and food pairings now and impress your friends and the ever-growing multitude of lovers that a Sommelier or other wine professional is now obsolete in your life. Being one of those experts, I will brazenly tell you that in a lot of respects you are correct. However, if you haven’t bothered to memorize all the general wine descriptors of wines and how they vary between regions, you’ll need someone at the wine shop to point you to the right direction. Also, did you know that the eugenol in the wine that comes from aging it in toasted oak is also found in clove? No? Well you’ll probably want an expert to point out some of the more obscure matches that occur. Professionals can also help you understand some of the general relationships between acid, fat, salt, and such so you can expand your repertoire and not be limited to the same wine and food pairing every Friday night. The more you learn about how wine and food work, the more you may seek out the novel and expand your experimentation. Honestly though, if you can match some aromas and know when to use lemon or salt, you’ll have a great time and get be able to have an enjoyable experience 80% of the time. The other 20% of the time you can give me a call. Wine, and by extension, wine and food pairing is much like fashion: It’s more important that you wear something that fits than you stay up with the latest trends or try to make a statement. Those that can pull off the bold statements either know a whole heck of a lot, or they’ve convinced the world that they do. Also much like fashion, your preferences may change over time. And that’s OK too.